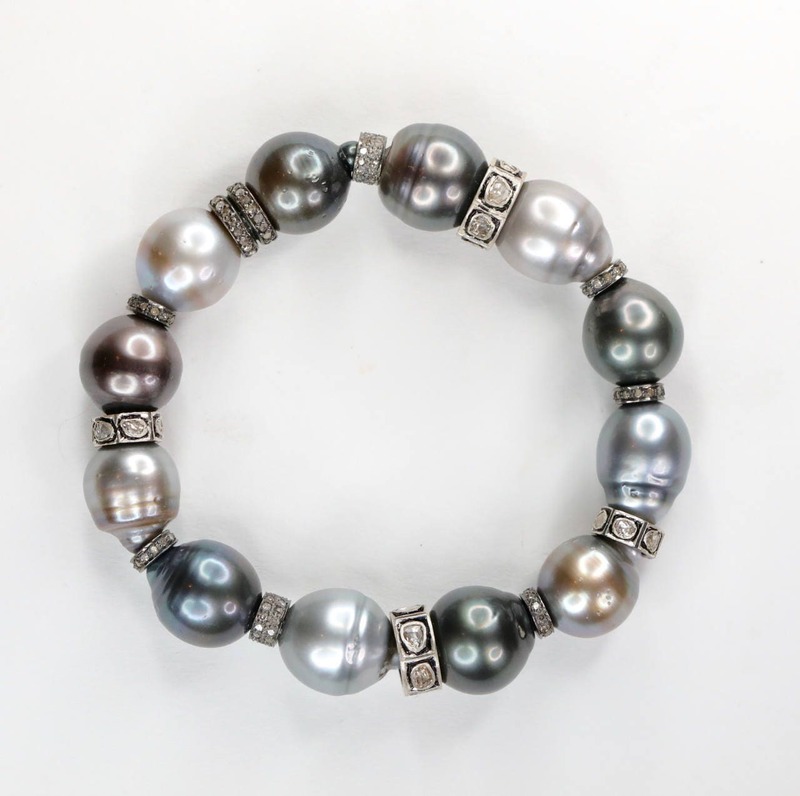 This is a one of a kind Tahitian pearl and diamond bracelet and this particular style is one of our best sellers- each one is unique in size and coloring of the pearls! 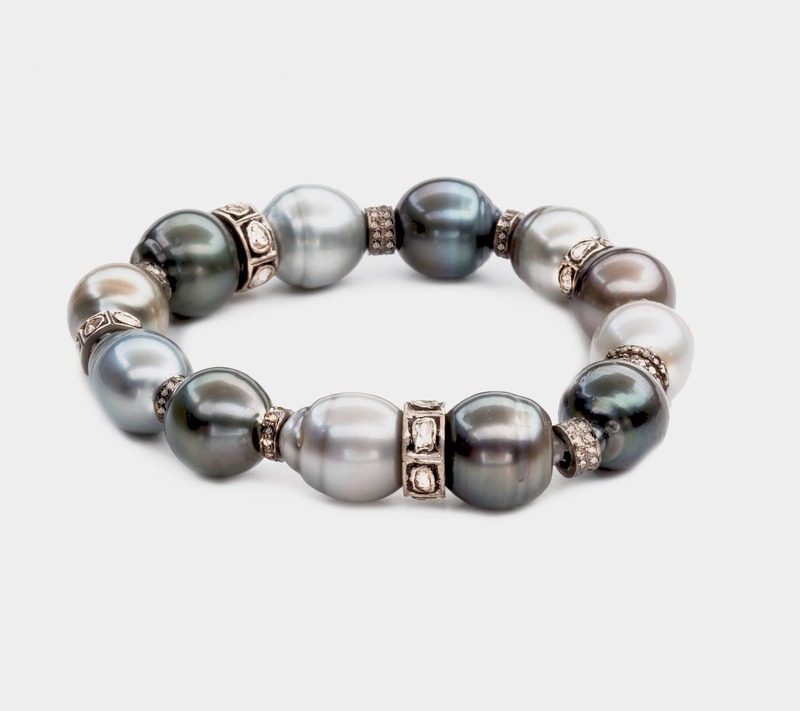 The Tahitian pearls have black, dark brown, silver and gray tones. several double row diamonds and large rose-cut diamonds really enhance the colors and smooth texture of the genuine Tahitians. 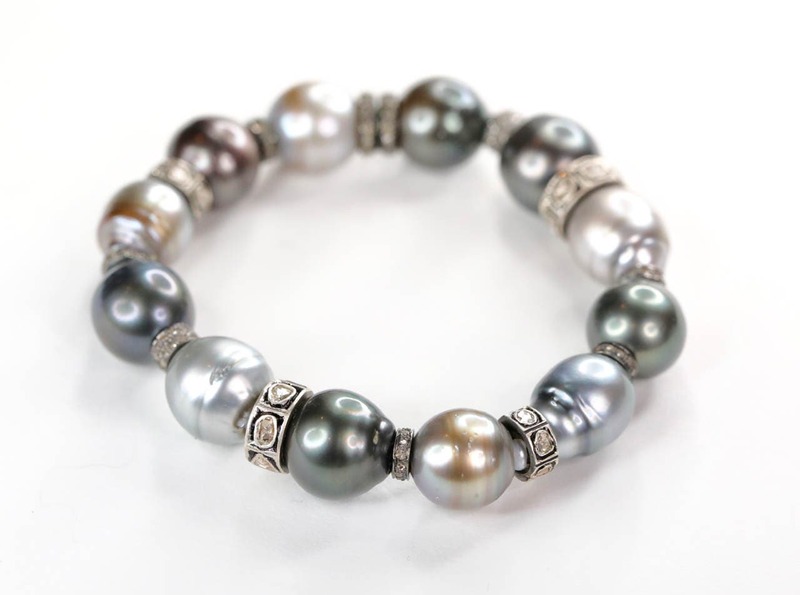 Each sold has been a one of a kind bracelet because of the uniqueness of individual pearls and diamonds. 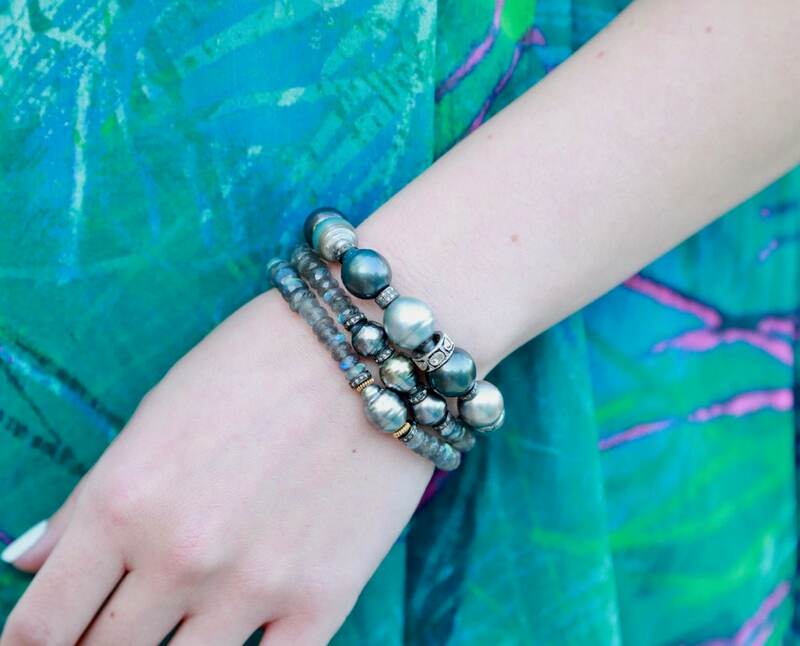 This listing is for ONE bracelet only. For the other 2 bracelets shown on models in photo's 3 and 5 please contact us.